Half mixed in, half not. You can see that my slow cooker isn’t even 1/2 way full. 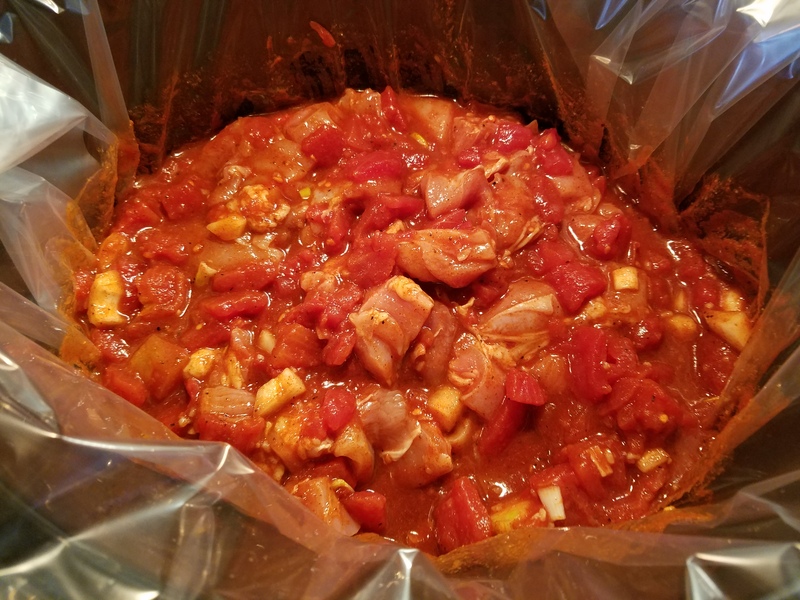 The slow cooker liners really help with clean-up, add no funky weird plastic taste, and actually prevent burning/sticking in the corners/edges; you know how sometimes your edges get super hot and stuff sticks or burns or dries out over there? These kind of keep that from happening as a nice little coincidence. And here it is after I’ve stirred in 3/4 cup of heavy cream and let it cook for roughly 30 minutes with the lid off, to help it thicken up. For a side dish this week — miso mushrooms! Funny how in the pic, the electric stovetop looks purple but it’s red in real life. 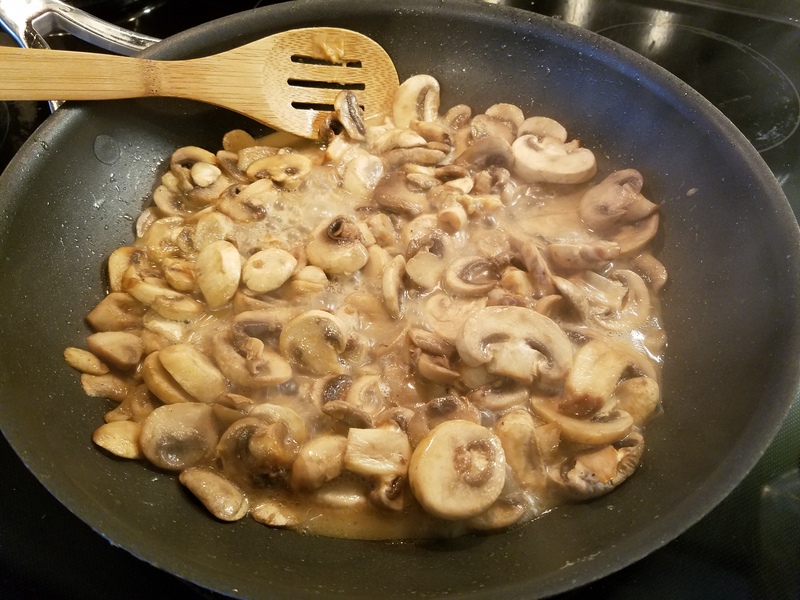 This is a super simple side dish that I love and Hubba Hubby enjoys — he’s not a mushroom fan but said “you make the mushrooms taste like not-mushrooms” – while I disagree and think this just makes them very meaty-savory, if it makes him happy then hey, go for it. stirring it all around until it melted into the liquid coming out of the mushrooms, and coating each one with its delicious savory flavor. 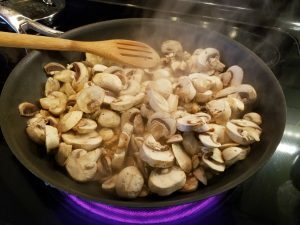 Turn off the flames and enjoy that meaty mushroom taste! Here’s where I had to get creative. 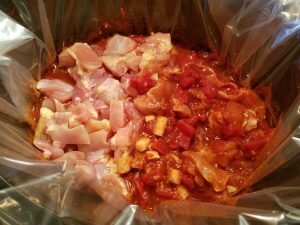 Hubba Hubby has some macros/dietary goals that I don’t always quite understand or have trouble really embracing – one of them being a lower carb lifestyle than I enjoy. Chicken tikka masala is meant to be served over basmati rice — but I’ve been known to use brown rice for some extra fiber/protein/”full-feeling” and once you put enough sauce on it, it’s fine anyway. But I respect his lifestyle choices and I try to work around them best I can – it’s a nice challenge – so for this one, I went to the store to pick up cauliflower rice only to find they were all out! Giving him a container of just chicken tikka masala (basically chicken and sauce) with a side of miso mushrooms seemed like way too little food, so I compromised and cut up tortillas (our naan did not make it, unfortunately, and I didn’t realize until too late so I tossed the package — thankfully, we always have flour tortillas on hand for #TacoTuesday) – 1 per lunch box – and wrapped them in a sandwich bag on the side. 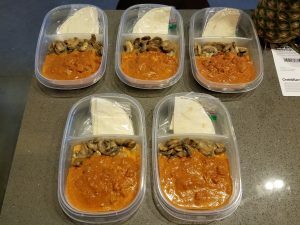 I put the miso mushrooms close to that side to hopefully stem some of the sauce from jumping to the other side, and then filled the rest with chicken tikka masala. I had a secret agenda for the wrapped tortillas too — to force Hubba Hubby to microwave the tortilla separately from the lunch. Hahaha! I outfoxed him 🙂 since he will occasionally just microwave all of it together, to my chagrin, as I think it detracts from the quality of the final product. He said some of the sauce did jump to the other side, the tortillas stayed dry but the baggie got wet and was gross. Oh well. 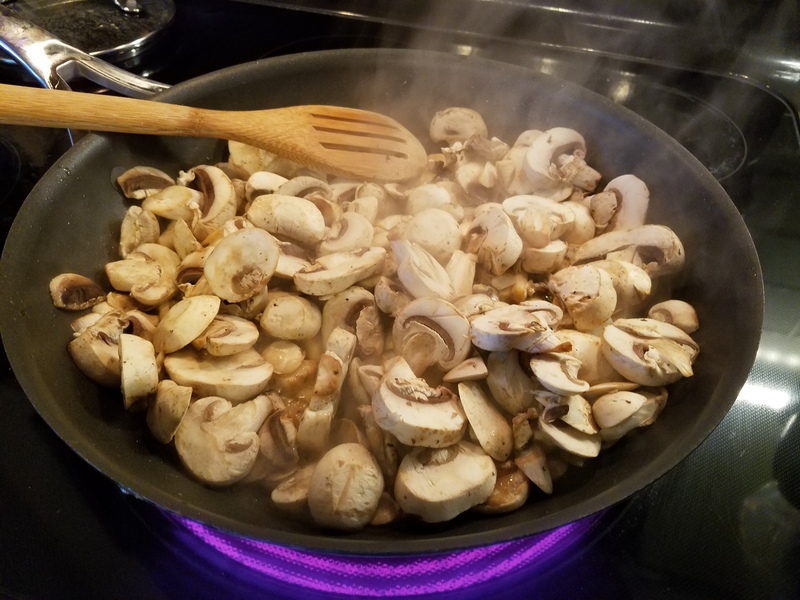 Overall, he said this week was a raging success — the mushrooms were great, he didn’t notice there was no rice or cauliflower rice, he didn’t feel like he was eating a ton of vegetables (probably because mushrooms barely count as vegetables! ), and he enjoyed using the tortilla to make ‘mini tacos’ of the chicken tikka masala. There you have it. 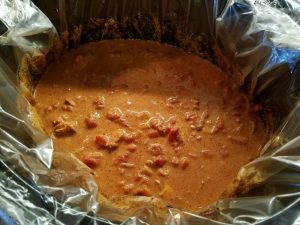 Chicken tikka masala that tastes great and cooked while I busied myself doing other things. What do you think? Would you make this yourself? What would you serve with it? What should I make as a side dish for next week? I would make the hell out of this! I would probably serve it with steamed kabocha squash if i needed a starchy, but healthy side. Def cauli rice if its available. As for next week, I’m useless. 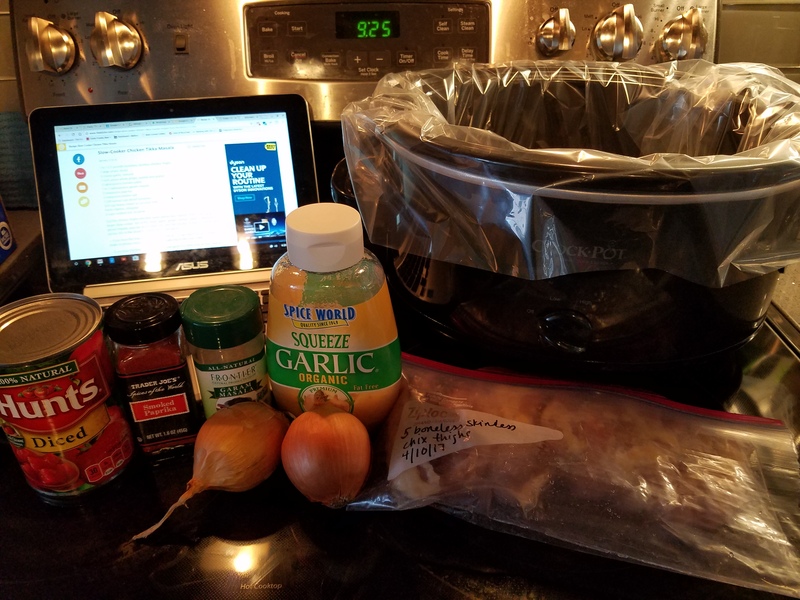 I don’t even know what I am making for dinner today. I am in the mood for stuffed peppers.